Are you boring your players? As a sports coach, you know that keeping the attention of your players can be a challenge when you use the same repetitive training exercises, week in, week out. But constantly developing new routines and exercises is time consuming and not always practical, especially when your young players are at different levels in their ability and training. Do you want to be a GREAT sports coach? If you’re coach cricket, or any other sport (or position) that requires using a set of hands and fingers – your players need super-fast reactions, accurate throwing and deft catching skills if they are to excel at their game. As a coach, you are responsible for teaching these skills and making sure your players are ready to perform to the best of their ability. Do you want fun, exciting training sessions? Would you like enthusiastic players who don’t want to stop? Even the best coaches in the world need some help. 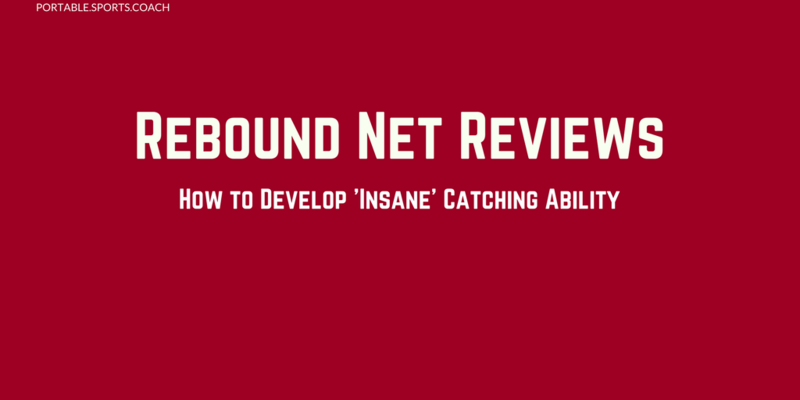 The Crazy Catch range of products is well worth exploring if you want your team to be the best they can be. Increase your team’s throwing and catching skills: So you can start winning more games with the same players, but better! Either way, it’s a great workout and a fantastic way to hone your players’ skills. Crazy Catch has produced an innovative range of rebound nets which test reflexes and improves agility. Their nets all feature an ‘insane’ surface which causes an unpredictable rebound and sends the ball flying off all over the place. What Sport Do You Coach? Crazy Catch products have been used by international cricket teams to improve the skills of their players but the nets are not only useful for cricketers. Any game which involves fast reflexes and well-developed hand-eye coordination will benefit. They are fantastic tools to warm up, sharpen reactions and add a bit of fun time to your training sessions. There are currently seven products in the Crazy Catch range of nets, suitable for a range of sizes, skills and sporting interests. Having used a few of the models below I know how well they work for my players and overall session development. It’s now time for you to do the same for your players and sessions too. The only problem you’ll have is to get them to stop playing and let someone else have a turn! 75 x 75cm: The Smallest of the Crazy Catch range which is great finer skill development and coaches with limited space in their car as they travel to and from training. There are two sides to the Crazy Catch Upstart Frame. The plain black net returns the ball in a normal, predictable manner, but the green coloured side is something entirely different! It’s designed to return the ball in a fast and unpredictable manner which will vary with every throw. The rebound from the net is amazingly powerful, making it a surprisingly good substitute for a genuine throw from a real player. It’s also great tool for solo training when there is nobody else available to return the ball. Due to the small size of the Upstart Net, it works best with a small ball and somewhat accurate throwing. Crazy Catch sell cricket sized balls to go with the nets, though any small ball will work equally well. The best deal I’ve seen so far is on Amazon where you’ll not get the rebound net itself, but 3 Crazy Catch Level 2 Vision Balls too. The deal also includes a booklet and a timer and it all comes in a neat carry bag with a handy shoulder strap. The Upstart Double Trouble is the same size and shape as the previous net and made with the same idea in mind. The only difference between the two is the surfaces. Crazy Catch Double Trouble does not have a ‘sane’ side; both sides of the net return the ball in an unpredictable fashion. One of the sides is made for small balls, with closely spaced mesh, and the other side is designed for use with larger balls, for sports such as football and netball. However, it’s also a great way to regress your training to test younger players and those who may be visually impaired. Naturally, the Crazy Catch Upstart Double Trouble frame can be found on Amazon, together with a carry case, timer and Level 2 Vision Ball. Like the Upstart, the Crazy Catch WILDCHILD has two different models available. They are 30% bigger than the Upstart nets but share many of the same great features. Indoor and outdoor use: So you’re ready for all weathers and facilities! Easy to erect: So you can save even more time! Both of the WILDCHILD frames feel sturdy and durable; they are built to last. Your teams can look forward to many years of skill development and fun, Crazy Catch style! The basic rebound net has one ‘sane’ side for general ball practice and one ‘insane’ side to challenge reflexes. Apart from the 30% size difference – you’ve got all the great benefits of the Upstart. You are however given a little bit more in the package. Click here to see the Crazy Catch Wildchild net for sale on Amazon, together with one ball, a timer, activity pack with scorecard, throwing targets and carry sack. The double trouble has two insane nets with one side suitable for small balls and the other side for larger balls. The bigger size means that large ball practice is easier with these nets; you can get a good rebound without being as precise with your throw. You can adjust the angle of the frames but there really is little need when you are using the insane nets – they are made to deliver both high and low returns anyway. The Crazy Catch Professional is my recommendation for sports coaches; its size and versatility make it the ideal choice for a whole range of exercises, drills and games. If you can only choose one net then I’d recommend this one. 148 cm x 91 cm – the biggest of the Crazy Catch frames which allows for a whole host different game variations. Perfect for schools, teams and larger groups: For demonstrations and other sports with varied ball sizes. Horizontal or vertical orientation: Progress your sessions in an entirely different way by turning your Crazy Catch net on it’s side! Detachable frame can be handheld: Which will give you more control over the direction the ball. Extremely bouncy surface! : To keep the challenge realistic. While it does come with a slightly bigger price tag, if you’ve got the budget – it’ll be a worthwhile investment. The Professional Nets are the widest of the Crazy Catch range. This makes them the perfect if you’re coaching a team, larger groups or within a school environment. Like our previous frames, the Professional stands proud without any problems. It can also be detached and hand held, giving you an extra degree of flexibility with your sessions. They can also be rotated so you can use them horizontally or standing vertically for a taller surface area to aim at. The Professional Rebound Net has both the sane and insane sides and you should find, it’ll be met with a great deal of enthusiasm in your sessions! Again, as with all our other nets, the Professional Double Trouble comes in at the same size as the Classic with all the same dimensions and flexibility. The large mesh side can be used for football, dodgeball, rugby, netball and basketball practice and the small side lends itself well to use with cricket, tennis, hockey and rounders’ balls. The Crazy Catch Freestyle is a handheld alternative to the rest of the Crazy Catch range. There are handles positioned on each side of the net so that you can hold it tightly and adjust it as needed. 520mm x 520mm: Smallest handheld rebound net. Sane and Insane sides: Using the detachable handles you’ll still have the great benefit of having sane and insane ball return. The first time I used this net I had great fun – and I was the one meant to be coaching! The Crazy Catch Freestyle provides a lot of fun and challenge to both the person holding it and the catcher. Like many of the other products, it has a sane side and a crazy side so you can progress and regress your sessions where needed. The Crazy Catch range of frames and nets is growing as more and more people ‘catch’ on and realise what a great training tool they are. I recommend the Crazy Catch Professional Classic Rebound Net as the best choice specifically for coaches working in schools or with teams; its versatility and large size makes it great for group practices. That said however, all of the nets are worth buying and you can use the whole range to coach your players as they develop and progress into more difficult and challenging skills. And best of all, stay longer engaged in your sessions. The great design and durable materials mean that every one of the Crazy Catch Nets will give you years of use. Your biggest problem will be keeping it to yourself; once you start training with the nets you might find that other coaches want to join your sessions to they see what they can do!